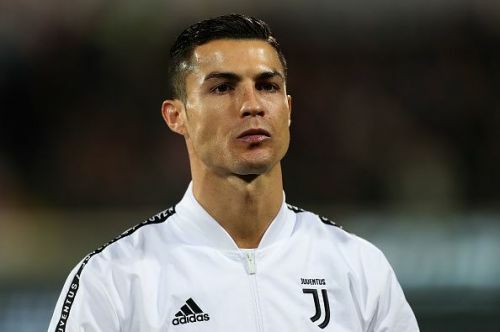 Former Manchester United full-back Fabio da Silva has denied that his former teammate Cristiano Ronaldo is selfish, stating that the Juventus star was always there to give him advice and help him during his time at Old Trafford. Fabio joined the Red Devils with his brother Rafael in 2008 and went on to stay in Manchester for six years. While Rafael moved to Ligue 1 outfit Lyon in 2015, Fabio spent time with Cardiff City and Middlesbrough before moving to Nantes. Under Sir Alex Ferguson, Fabio won a Premier League title and even played in a Champions League final against La Liga giants Barcelona. He also had the good fortune of working under United's current manager, Ole Gunnar Solskjaer during his stint at Cardiff. Fabio has opened up about his time at Old Trafford and how the elite team welcomed them into the fold. The 28-year-old particularly spoke about Ronaldo, who reportedly gave him a lot of advice on and off the pitch. Speaking to ESPN, the defender said, "Some people were incredibly kind to us, like Darren Fletcher. Rio Ferdinand and Cristiano, who spoke Portuguese, were also a big help – we didn't know a single word of English. "I've heard Cristiano called selfish, but he gave us non-stop advice both on and off the pitch. When I made my debut against Tottenham, I played alongside him. Cristiano told me not to take any risks in our half because he might not be able to get back to help me. Then he said, 'When you get into the opponents' half, you can do whatever you like'. With Cristiano supporting me, I felt so positive." Manchester United are currently fighting for a top four finish in the Premier League and are also preparing for their quarter-final clash against Barcelona in the Champions League. The team will return to action after the international break when they will face Watford in the league.